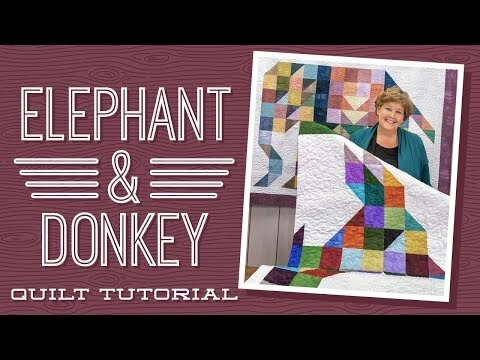 Giddap Quilt Pattern by Missouri Star - Missouri Star Quilt Co. - Missouri Star Quilt Co.
Giddap the Donkey was created as the running mate for Ararat the Elephant back in 1931 and published in the Kansas City Star Newspaper. Both of these historical patterns have deep roots and are a delight to make! Start with three packages each of print and background 5" squares and you'll have a darling quilt in two shakes of a donkey's tail. Finished size: 78 1/2" x 69 1/2"
Quilt pattern for 5" squares.